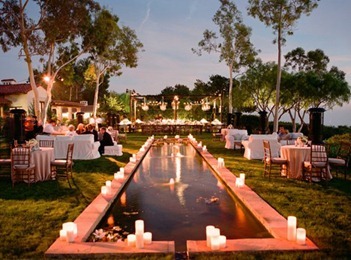 A vintage poolside wedding party is a great option! 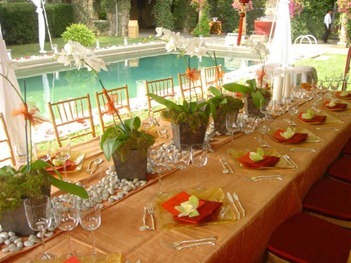 Add a vintage and fun look to your Wedding Reception by lining long rectangular or circular tables alongside the pool. 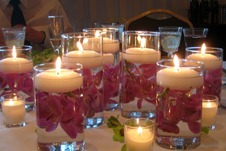 Line up dozens of candles and floral arrangements in different heights. 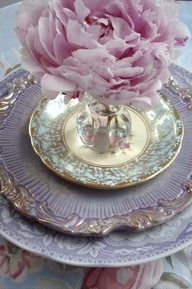 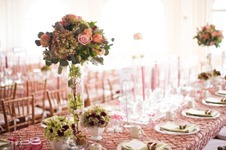 For floral vases, look some vintage old fashioned ceramic or copper and select an old style fabric runner. 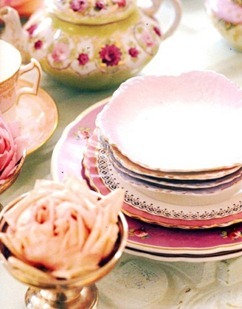 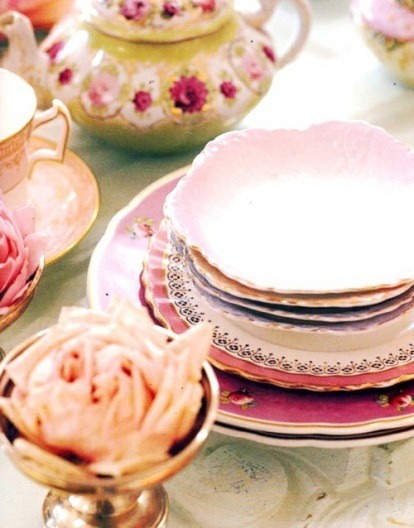 Ocher, pink, burgundy and green would be a great selection of colors for your table décor. 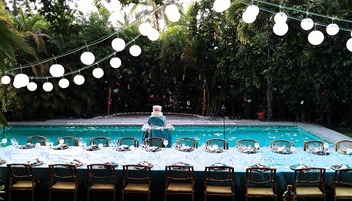 For extra fun, include a synchronized swimming performance during the cocktail or reception.